This ultimate beauty accessory for lips is an Allure award winner! This deliberately different lipstick boldly dares everything: extreme shine, impactful shades, and an obvious plump-up effect. It is more than a lipstick, it is an attitude. 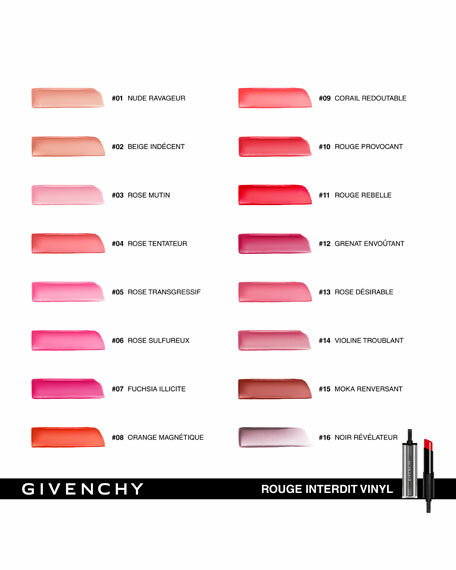 Chic and edgy, trendy and unique, luxurious and resolutely urban, Rouge Interdit Vinyl plays around with conventions and makes no bones about shaking them up. It provides the signature look for beauty addicts who are not afraid to assert their own rules of style, in complete freedom. Medium coverage. 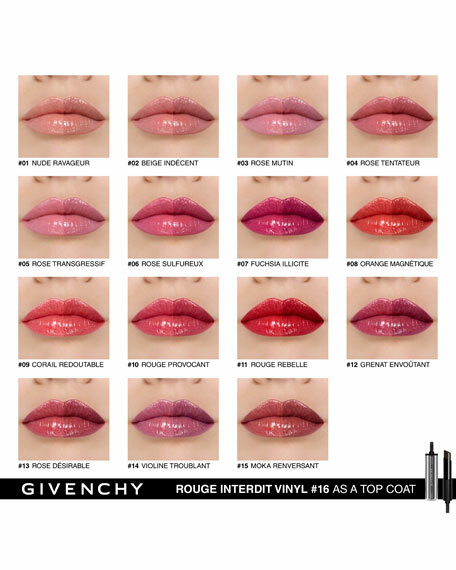 What's the secret of its unique lipstick formula? A mysterious substance: black rose oil. This fascinating, rare and precious active ingredient delivers extreme moisture and comfort to the lips for hours. It is combined with a silicone resin that forms a shiny, thin and supple film on the lip surface for a second-skin sensation. 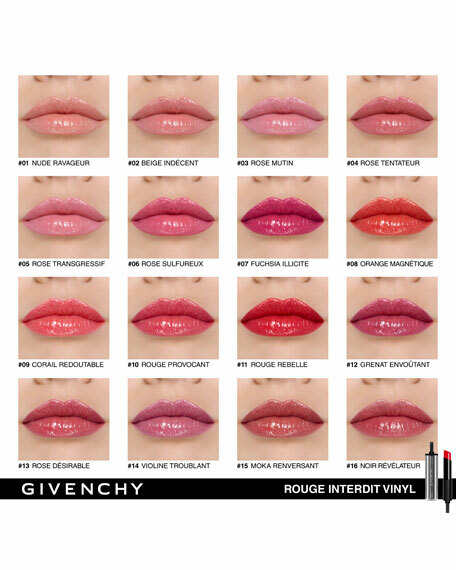 This explains the "vinyl" radiance of the formula, but also its filling effect: the lips instantly appear fuller, smoother and denser... The color expression is maximized. 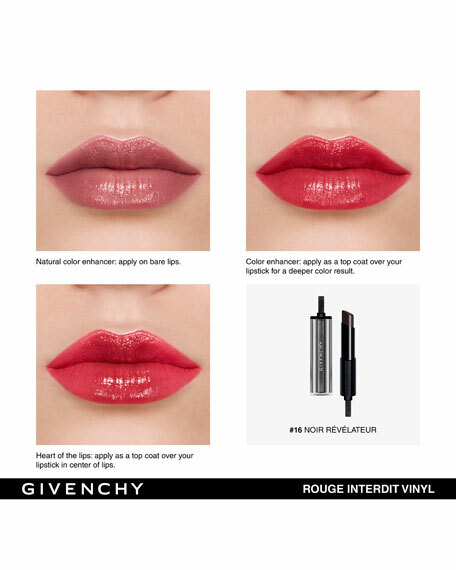 Noir Révélateur is the Givenchy iconic and signature "magic" black shade. It reacts to the pH of the lips, creating a unique color on every woman from sheer berry to deep plum. It can be applied alone or over your favorite lipstick to create a unique color and extreme shine.